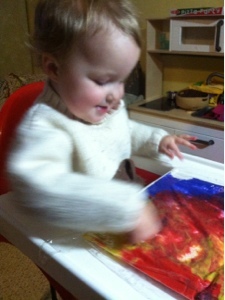 I hear this multiple times a day from my baby who, ever since last week, is obsessed with painting. 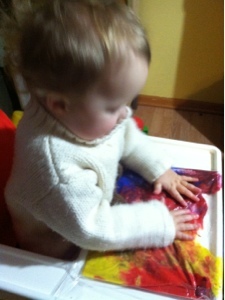 So, letting baby paint, mess free. 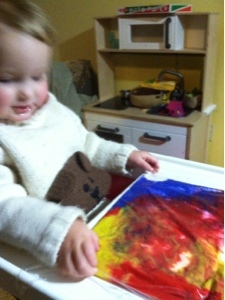 Squirt paint in ziplock. Tape down to high chair tray. Put baby in her seat, wearing her white sweater, and let her go to town.